Does your driveway need a refresh? Is it more weeds and moss than actual brickwork? Your driveway is something you walk across every single day and a part of your property that every visitor gets to see – why wouldn’t you want it looking spotless? 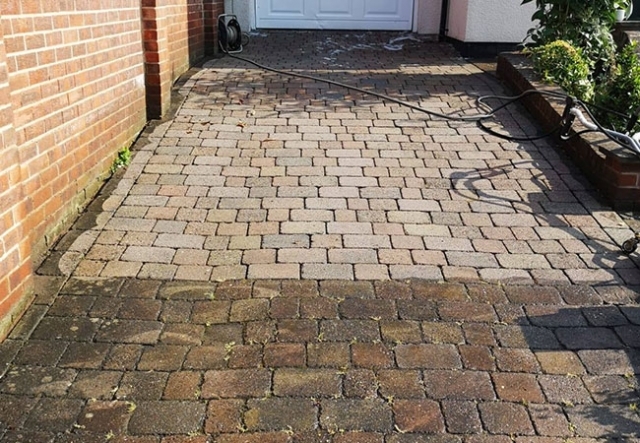 If the quality and cleanliness of your driveway is letting down the appearance of your house and the mud, sludge and dirt is being traipsed in through your front door, it’s probably time to get that driveway professionally cleaned. 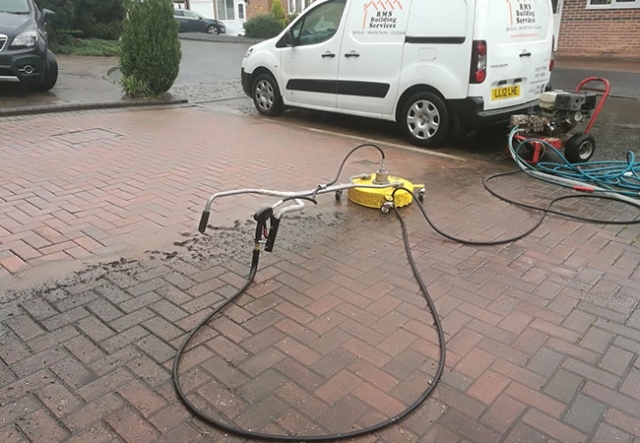 Here at RMS Building Services we’ve got a range of specialist driveway cleaning equipment to help return your drive to its former glory – bright, clean and weed free at a fraction of the cost of replacing your existing drive. 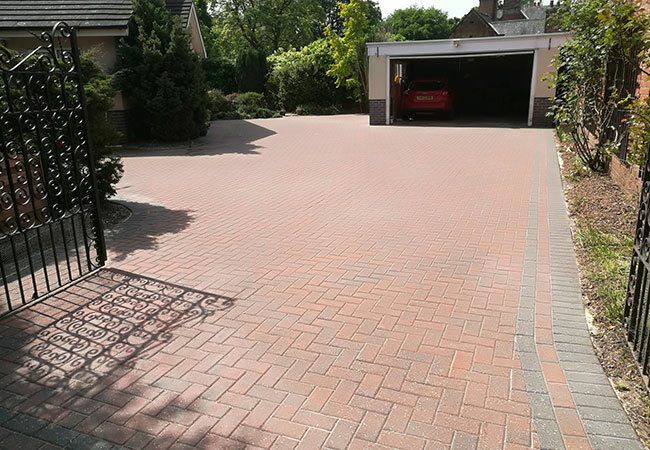 Every driveway is different – whether you have a big or small drive, have stubborn marks such as oil stains that simply won’t budge or need some block paving repaired and replaced – we have the expertise to revitalise your driveway. Why not contact us today and we’ll arrange to visit your property and provide you with a free, no obligation quote. Whilst we’re there we’ll even give you a quote to clean your patio if you like! 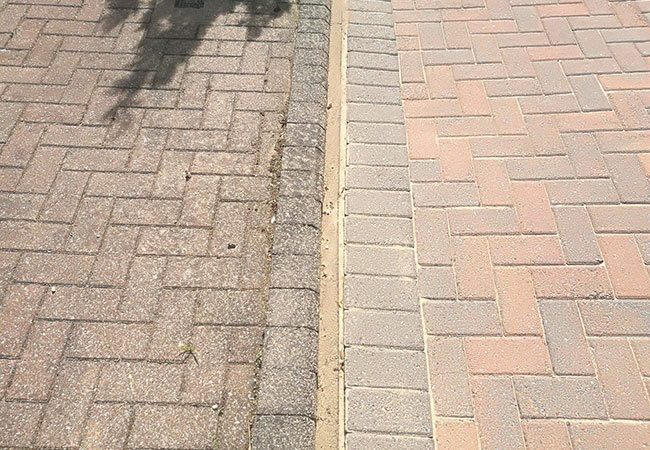 See the difference and you’ll wonder why you’ve never cleaned your drive before – why have you left it this long? 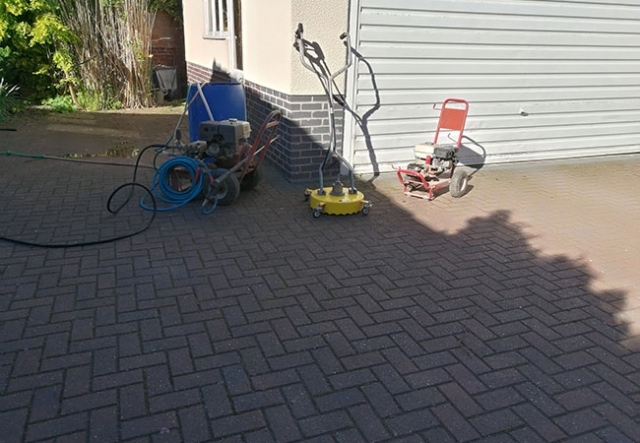 The following are a selection of photos from just some of our happy customers that have had their driveways cleaned and brought back to life. Click on the images below for a fullsize view! Got a question about how we clean a driveway, or what’s involved? Take a look at our below frequently asked questions. Obviously if you’re still not sure, have a question or want a free no obligation quote from one of our friendly team, get in contact by phone or email. How long does it take to clean a driveway? 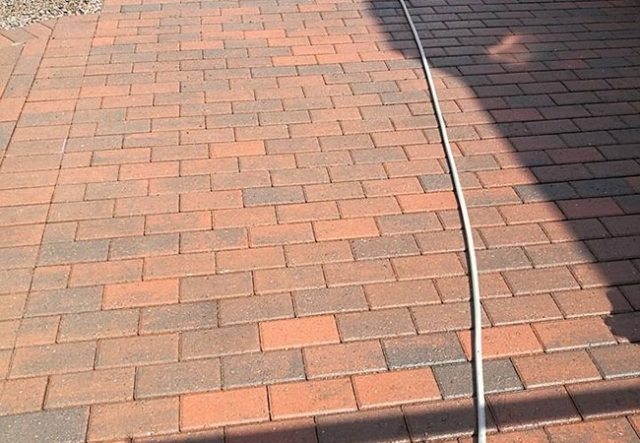 What types of brick are suitable for driveway cleaning? Does driveway cleaning involve any chemicals? How often should i get my driveway cleaned? 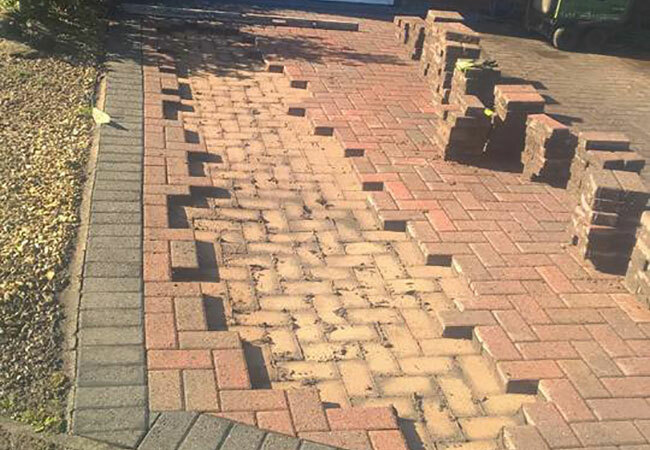 What happens after the brick driveway is cleaned? 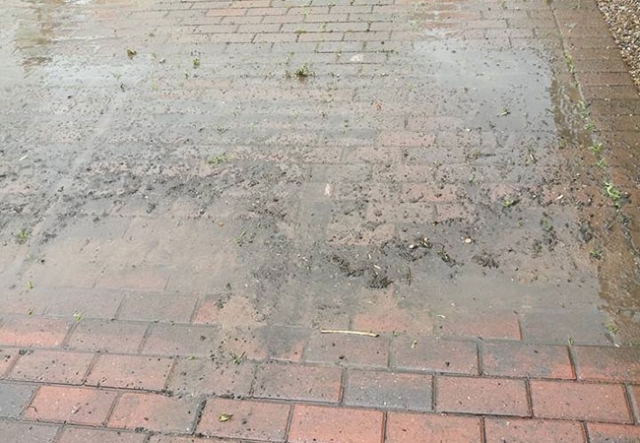 What happens to the weeds/dirt that is removed from my driveway? Do you clean tarmac drives? Every driveway is different hence there is no “one price fits all” answer as to how much cleaning your driveway will cost. 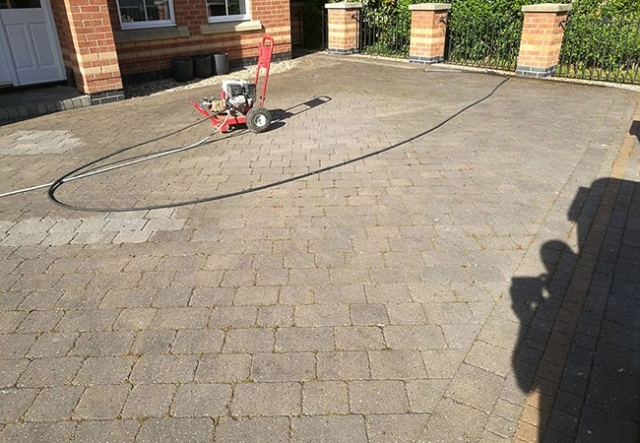 There are a variety of factors that affect pricing – these can vary from the size and what your drive is made of (type of brick or tarmac), the amount of weeds and dirty, the level of water run off, as well as whether or not you have any stubborn stains you need removing. 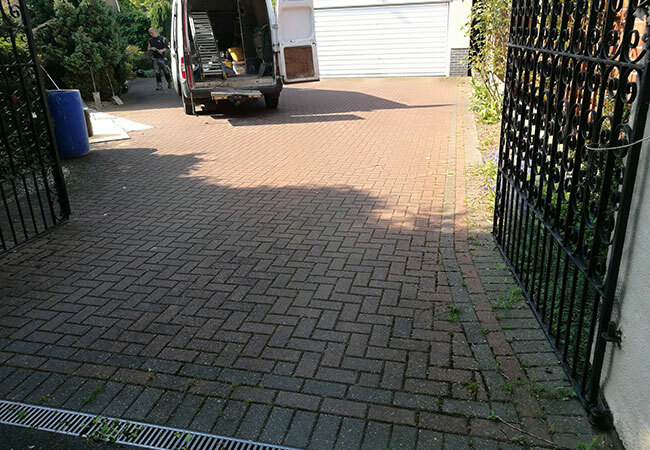 For every job we do, we provide a completely free, no obligation quote so you can get a clear understanding of the exact cost of cleaning your driveway. 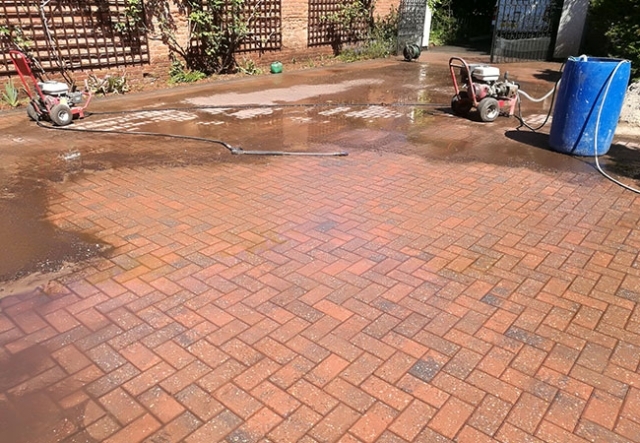 Most driveway brickwork is suitable for cleaning – this covers concrete, natural stone and clay pavers. 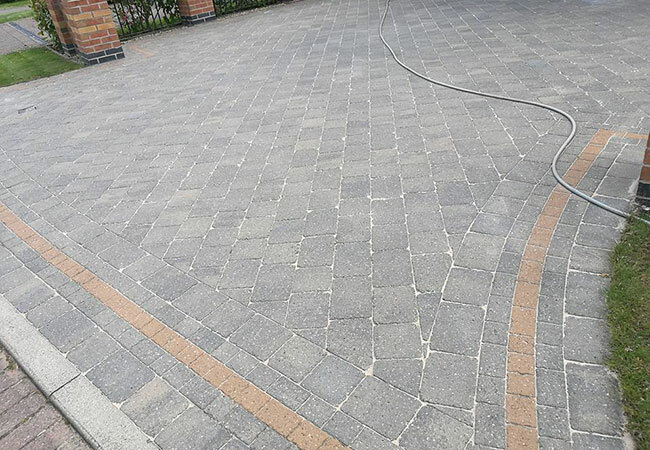 As with all jobs however when we visit to provide you with a no obligation quote, we’ll assess the quality and durability of your block paving as older, heavily worn pavers may not be suitable for cleaning. 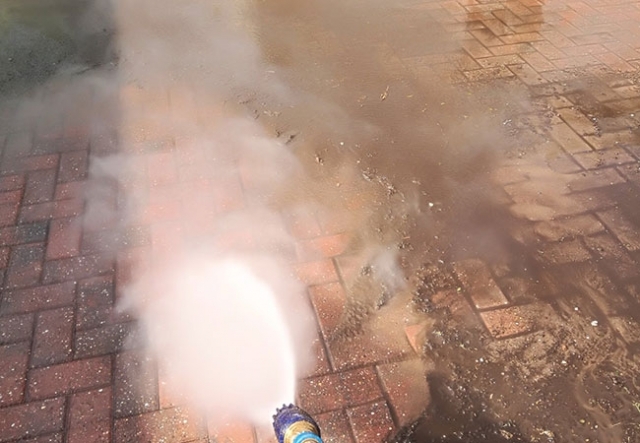 Generally the process is chemical free however if you have stubborn marks or stains on your brickwork (such as black or white litchens) we are able to offer a number of safe and effective chemical cleaning options. Not all stains can be completely removed however which is why as an experienced Nottingham builder, we’re able to replace and repair areas of driveway brick if required. Cleaning your driveway is primarily to improve appearance however in some instances where some natural stone pavers are used, cleaning can reduce the slippery surface of some block paving. With that in mind we suggest a thorough clean every 12 months however we do have clients that have us back as often as every 6 months. It really depends on how regularly you want your drive cleaned. Having cleaned your block paving, we’ll then resand between the brickwork with a kiln dried sand. We can offer both a normal and high pH sand which further helps to slow the growth of further weeds. All debris, dirt and weeds is cleaned up and disposed of offsite or (if possible) placed in a suitable onsite bin. Yes! Although tarmac drives require less pressure we can get your tarmac drive looking pristine again. If your tarmac drive is suffering from green algea and moss, we’re also able to offer a biocide cleaning treatment. Don’t forget, if you have any further questions or would like us to visit and give you a free no obligation quote, please don’t hesitate to contact us.